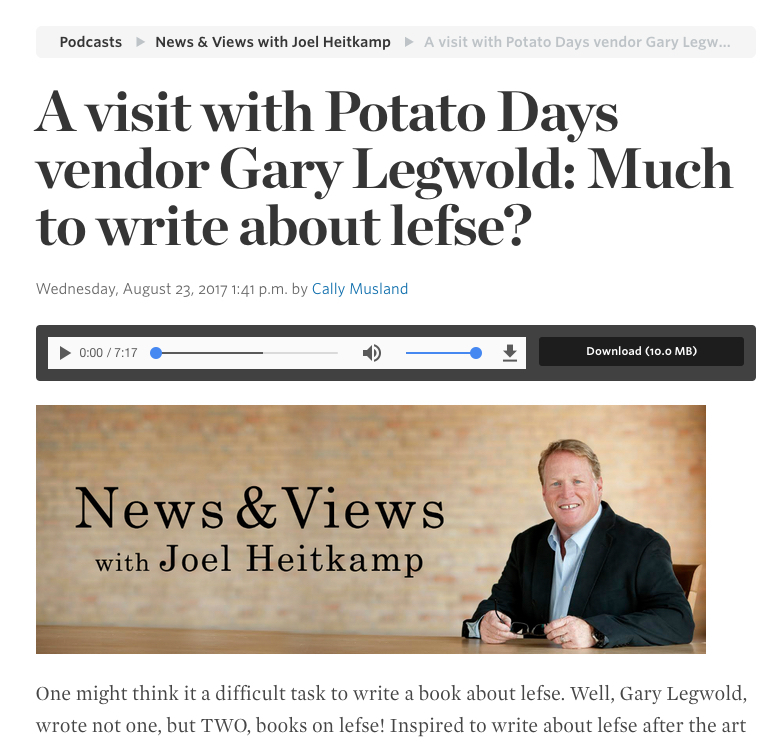 Had a fun radio interview with KFGO’s Joel Heitkamp, who makes lefse. Hear the entire interview. 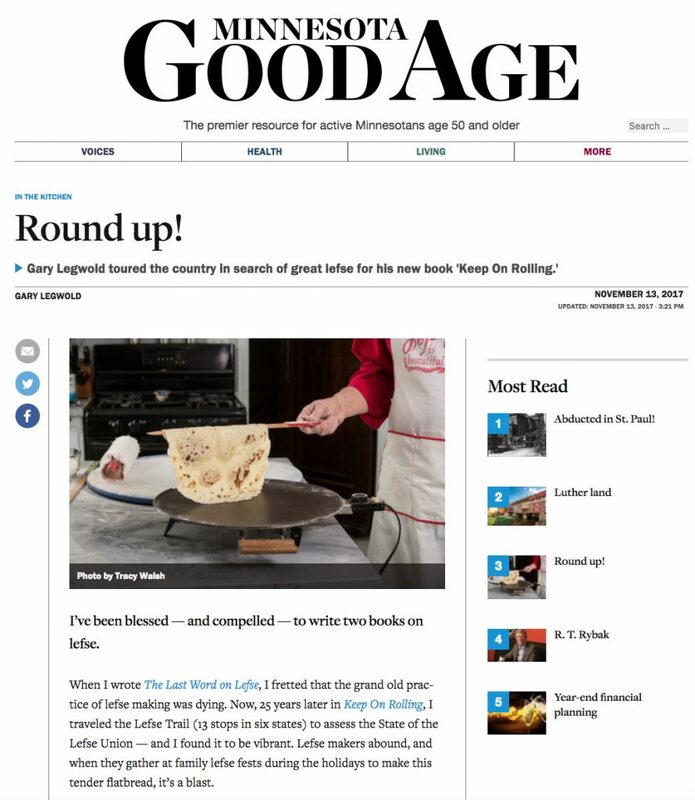 Wanna learn to make lefse in two pages of riveting copy? Check out this article in the November 2017 issue of Minnesota Good Age. 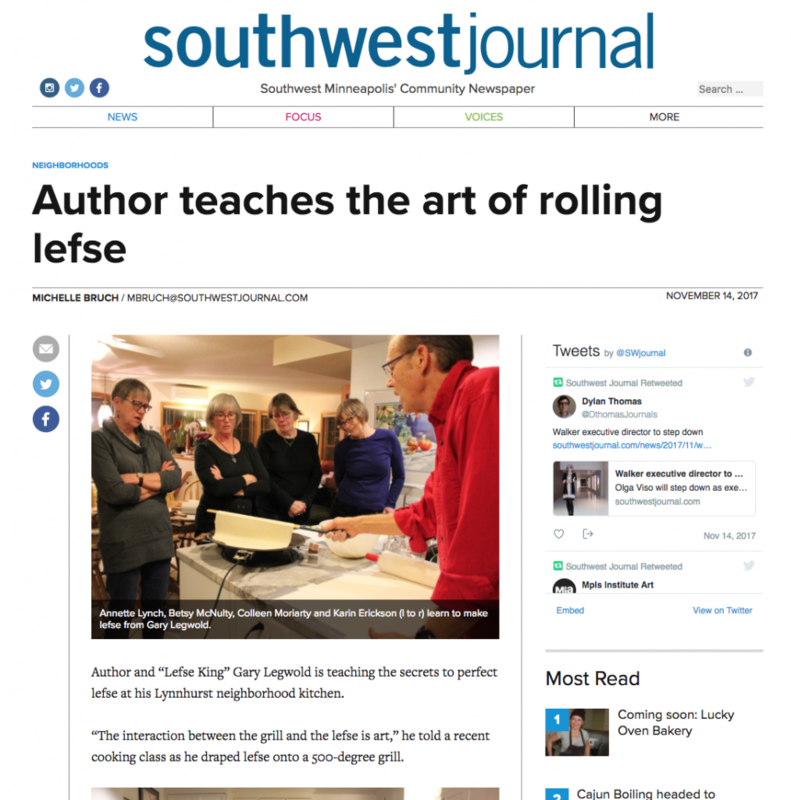 Michelle Bruch of the Southwest Journal popped into one of my lefse classes and filed this story. 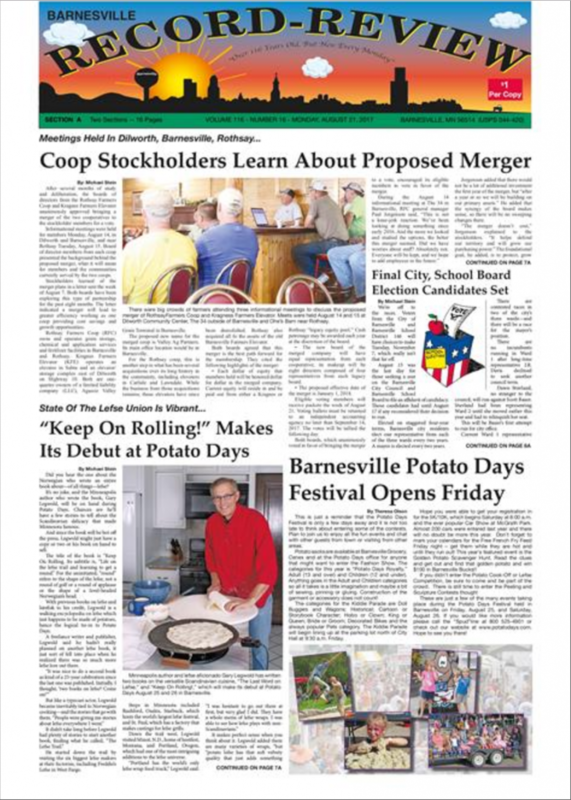 Michael Stein of the Barnesville Record Review interviewed me in the days leading up to the Potato Days, which featured the National Lefse Cook-off. Keep On Rolling! made it debut at the 2017 Potato Days. Zach Anderson of the Starbuck Times interviewed me shortly after Keep On Rolling! was published. 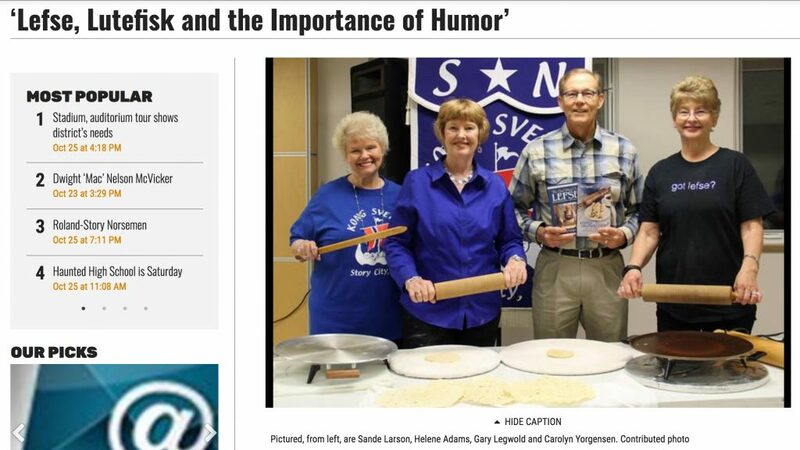 He wrote: “A book whose topic will connect with hearts who hold lefse dear to them has hit bookstores.” Click below for the rest of the Starbuck Times article. 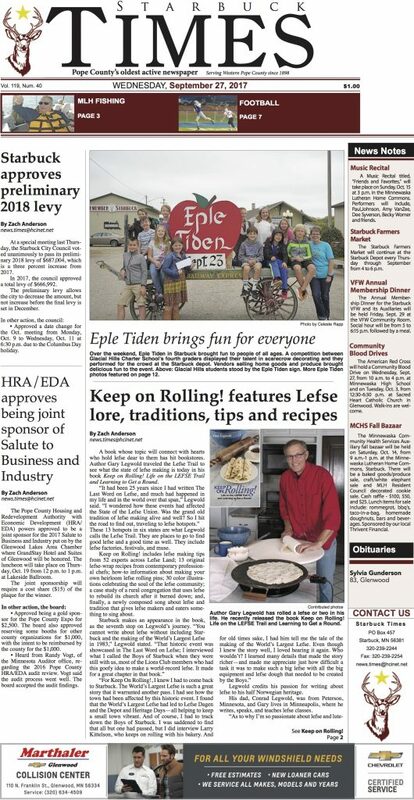 I had a fun-filled evening in Story City, Iowa, speaking about three of my favorite things: lefse, lutefisk, and the importance of humor. Click here to read the Story City Herald article about this Sons of Norway Kong Svrre event. 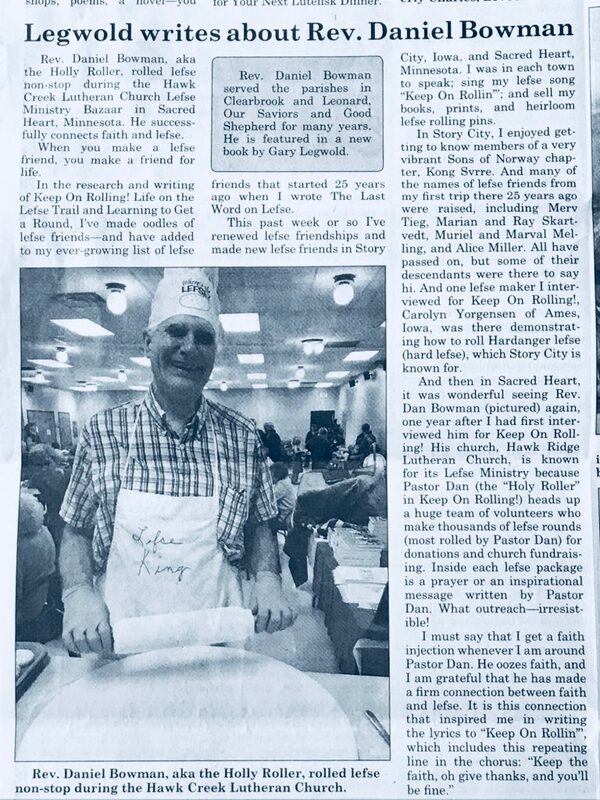 Nice article in the Leader-Record in Gonvick, Minn., about Rev. 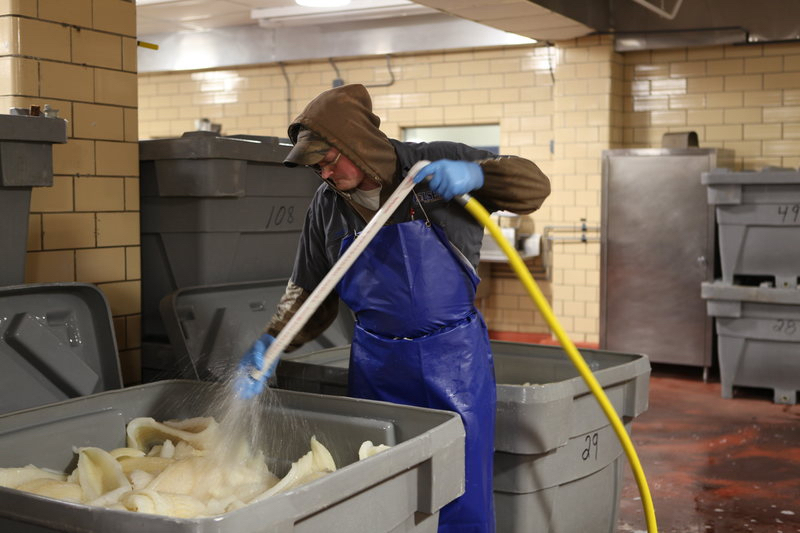 Daniel Bowman, a big-time lefse roller who I feature Keep On Rolling!.